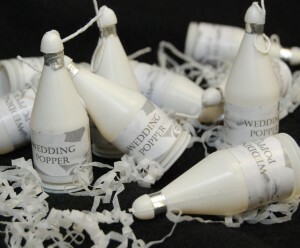 Brighten up your send off with these great sparklers. Various sizes. Contact me for special orders. Free shipping! Pull string and streamers that are biodegradable will pop out. Easy clean up. All items delivered via UPS throughout US. 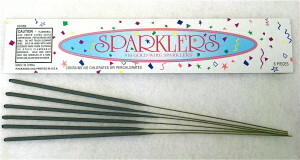 Sparklers can only be shipped via UPS ground within the Continental US, because they are considered hazardous material. Next day air, 2nd day air, etc., is not available. 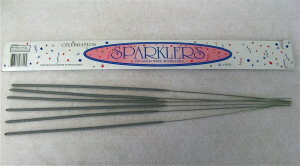 We can not ship sparklers to Alaska, Hawaii or Canada. **WE DO NOT SHIP TO P.O. BOXES** Tracking information will be sent from UPS around 4pm EST. Freight charges are included in all pricing. *Products are subject to availability. *Pricing subject to change without notice. We reserve the right to correct any typographical errors that have occurred during preparation. 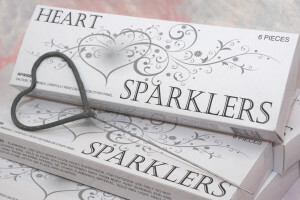 Sparklers are sold by the case or sleeve, which holds 8 Sparklers (6 sparklers per sleeve for heart shaped sparklers). Orders are placed via Paypal, email or called in. Orders will be processed exactly how they are received. We accept MasterCard, Visa and Discover. All orders must be paid in full before processing. Order must meet minimum requirements. Checks are accepted, order will be placed on hold until the check is received and has up to 10 business days to clear. There are NO rush orders on sparklers. Royalty Events Planning is not responsible for “Address Correction Fees”. Addresses missing apartment numbers, unit number or suite numbers are examples of addresses that would qualify for an address correction fee from UPS. Please make sure when placing orders, all information is correct and complete. “Signature Required” has a UPS Fee of $11.00. If you need delivery confirmation, “signature required” on a shipment please make the request on the order. We will contact you with the UPS fee before processing. Royalty Events Planning will accept returns within 30 days from the purchased date. There is a 25% re-stock fee that you will be responsible for as well as all return UPS fees. No refund will be issued until product is returned to the wholesaler. Once they receive the returned product, we will credit your account minus re-stock fee and UPS return fees.Customer should confirm with the church/reception hall to ensure Sparklers are permitted. Royalty Event Parties is not responsible for delays in transit times. Effective 11-1-11 all requests for product re-ship or credit due to damaged or a missing package will need to be submitted on our “Claim Form”. Photos of the damaged product will need to be provided. Always read and follow label directions. Children under 8 years of age should not handle Sparklers. Adult should always be present. SPARKLERS ARE FOR OUTDOOR USE ONLY! *Dispose of Sparklers properly. Light one Sparkler at a time. *Never re-ignite malfunctioning sparklers. *Store un-used Sparklers in a cool/dry place. Never throw Sparklers at another person. *Never carry Sparklers in your pocket. Never light Sparklers in a metal or glass container. *Light out of the wind. Hold the Sparkler horizontally or with the tip slightly lowered when lighting. *Do not grab the lit end. 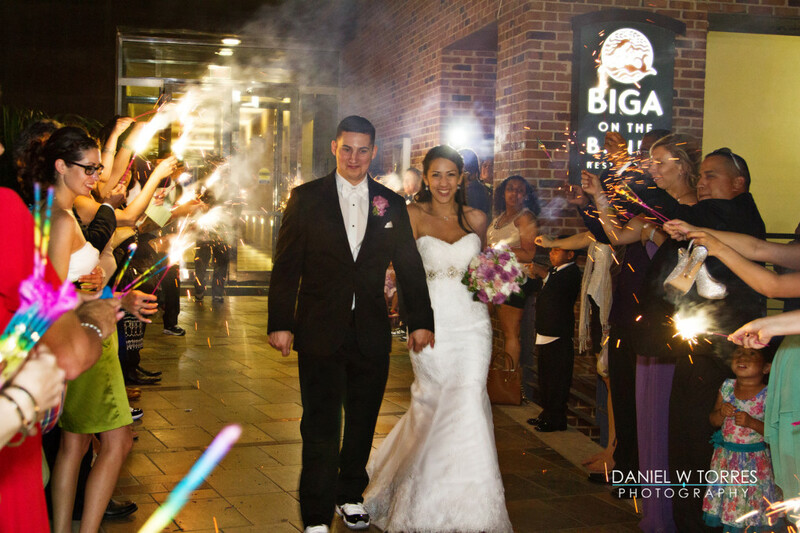 Keep away from flammable materials, *DO NOT spray paint the Sparklers. 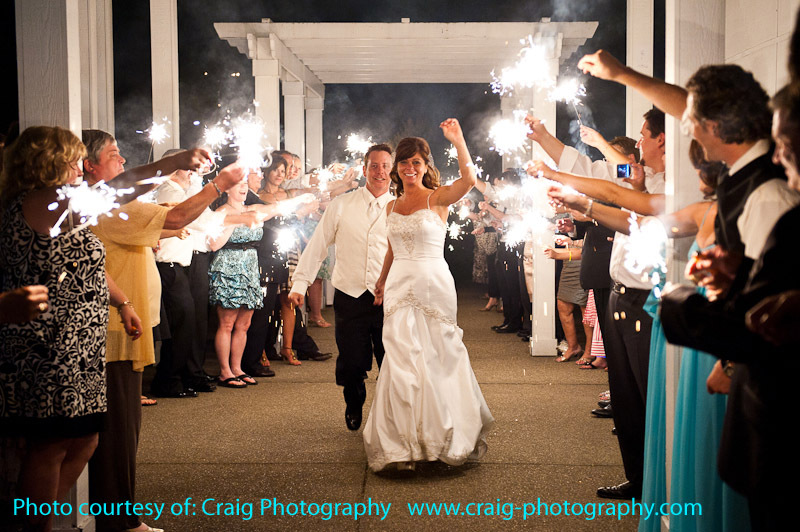 Royalty Events Planning is not responsible for any harm that may arise due to the misuse of the sparklers. It is the customer’s responsibility to read the safety precautions.